If you’re anything like most of the mom’s we know, you suffer from pain. Maybe it’s back pain. Perhaps it’s hip pain or related to a surgical procedure. Here’s what we’re sure of: at some point along the motherhood journey, you’re likely to experience pain. Before motherhood, you likely dealt with your pain using over-the-counter meds, icy/hot, massages, or maybe you iced your back so much you caught up on a whole season of Grey’s Anatomy while lying prone (HaHa – I’ve done that)! Hot water bottles, short-lived relief from patches, or those microwave wraps brought you temporary relief. But what all these methods have in common is that they are inconvenient. You can’t continue with a busy life when you’re stopping to heat, ice, or otherwise treat your pain. We know that as a busy momma, you’re looking for effective therapy. Something that allows you to keep chasing after kiddos, continue working 9-5, and enjoy the precious downtime that sometimes happens. So we wanted to make it easy for you. It’s comfortable – made of lightweight fabric that moves with your body, protects your skin from extreme temperatures, and doesn’t add unnecessarily bulk under clothing. This high-quality fabric just feels good. It’s supportive – totally adjustable compression straps allow you to fit the Recovery Wrap to your body in the perfect place where it hurts. We designed the wrap to stay in place so you’d have consistent support and relief, and wouldn’t have to awkwardly adjust every few minutes. 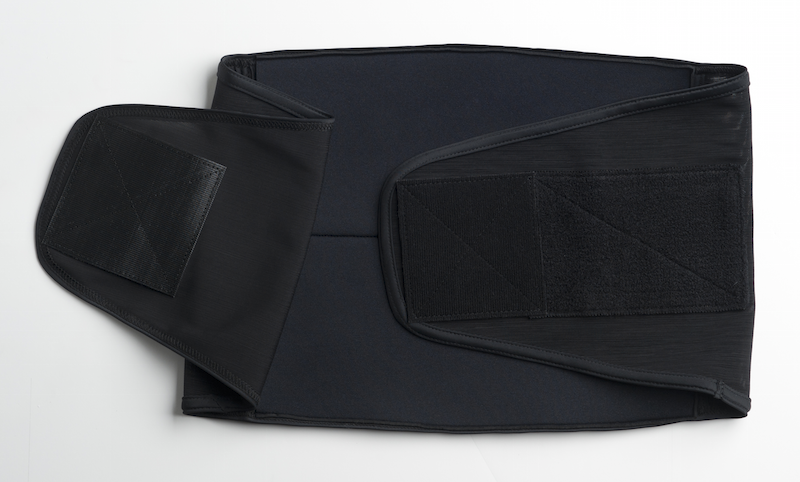 Support that stays put makes the Spand-Ice Recovery Wrap the perfect fit. It Performs On-the-Go! – this wrap doesn’t take time from your life. Simply heat your therapy packs or pull them from the freezer, slip them in the pouches, and prepare to feel better. You can get relief from pain while driving, sleeping, reading, exercising, taking a conference call, or taking your kiddo to the park. No matter where you go, the Recovery Wrap is ready for the journey. Select the size that fits you and prepare for relief. Whether back, hips, breasts, or tummy, our Recovery Wrap is the perfect fit. This is an amazing design. Didn’t even think of it although I suffer from lower back spasms and it will be more perfect, dare I say, than the vest which can feel restrictive and be tough to wear under regular “dress” clothing. That said, I wear the vest every morning to ward off back spasms and take it on all trips. The wrap is sheer genius!